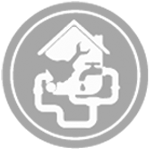 We at CP Toronto believe that your plumbing system should always be working properly. We are a recognized plumbing contractor in Toronto and we have worked with various business owners in the region. Our plumbing services are available to restaurants, hospitals, apartment complexes and other types of buildings. We believe that we are able to provide property owners with what they need because we ensure that our prices are competitive. In addition to that, our services are of the highest quality and we only hire qualified staff to work on the projects. Our customer services are excellent. We ensure that all clients who call us will speak to a qualified plumber, rather than an answering service. We know that clients may have emergency plumbing issues which is why we will always have a qualified plumber on the phone when you call. This ensures you get the service you are looking for immediately. Jobs outside our skillset are referred to better-suited plumbing services.